The corpse of a young lady was found early this morning on the street in Orsu area of Imo state. 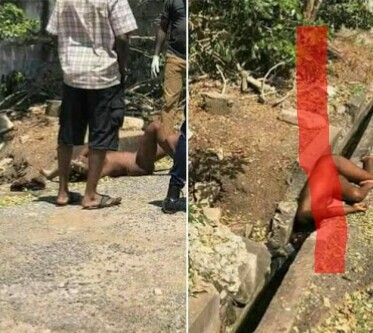 The deceased was left Unclad in the gutter by the roadside after being gruesomely murdered by unknown assailants suspected to be ritualists. A lady Amaka Chukwunyere, who shared the report, warned ladies to be careful with the kind of friends or partners they relate with. 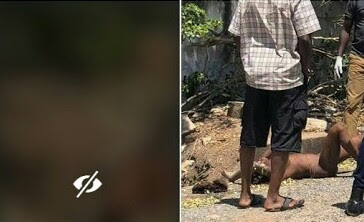 This murder is coming a day after persons suspected to be ritual murderers beheaded a woman in the same state, while one of her br*asts was also cut off.